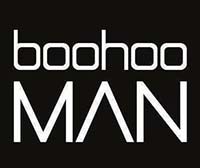 Save on your purchase from BoohooMAN with a BoohooMAN coupon code. boohooMAN is a global online fashion retailer offering thousands of styles across menswear so that you can stay ahead of the trends. Shop from our range of items including t-shirts, jeans, knitwear, sweats, coats and accessories; if you want it, we're pretty sure we've got it! With loads of styles landing each week and regular trend updates you can be sure to get the latest.